It explored the Annunciation of Mary, when God asked an ordinary girl to play an extraordinary part in healing the world (Luke 1:26-56). As a fourteen-year-old young woman, I was fascinated with this God who would invite people like me into such plans. Mary was a woman. 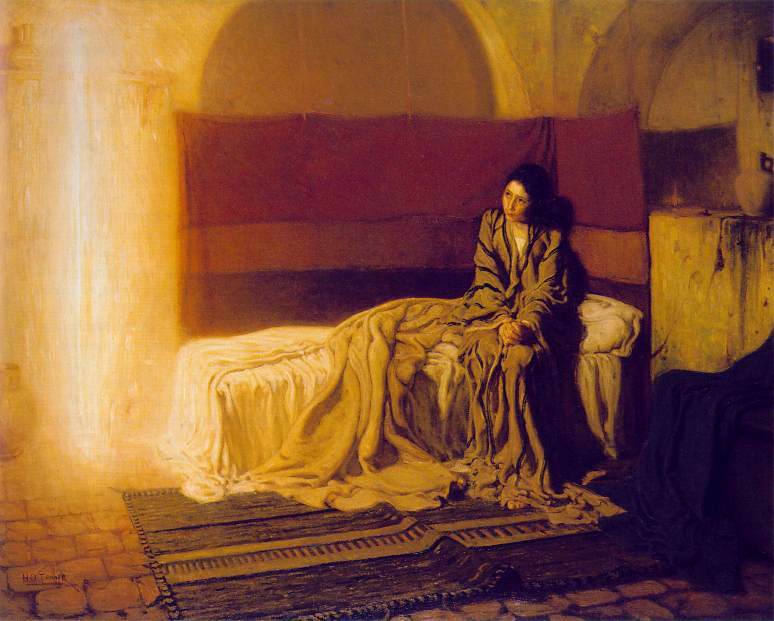 Mary was beloved of God and respected by God (consent!). And her Yes changed the course of history. Negating the ordinary and expressly female nature of Mary negates the profound ministry of this person and her relationship with God. It negates the droves of women who have followed her example in service to the Divine. Negating Mary’s ordinary human flesh cheapens her—and all women—into a pawn in someone else’s game. But that ain’t the way it happened. Thanks be to God that the story says something different. Mary’s autonomous human nature comes through. Her brave heart listened to Gabriel’s message. Her thinking brain interrogated the angel’s news. Her community-rooted spirit moved her feet to Elizabeth’s door. And her confident voice raised in embodied gospel proclamation. My fourteen-year-old self trembled to meet this ordinary Mary because in doing so I met me. I met a young woman beloved of God, respected by God, and called by God to the fullest of her humanity. God calls us—ordinary, human, and just as we are—to bear Christ in the world. Ordinary Mary shows just what can happen if we answer. AKA: Celebrating Mary's Announcement; "The Feast of the Incarnation," or "Lady Day"
Today is when the Body of Christ the world over celebrates the moment an ordinary woman said yes to God. Her yes changed everything. Nerdy Tidbit: The traditional date to celebrate is March 25--nine months before we celebrate Christmas Day. However, this year March 25 fell during Holy Week, which bumps Lady Day to the first Monday after the Easter Octave (the first 8 days of Eastertide). Here are just a few ways to feast it up! I’ve obviously been thinking with Mary this morning. You can pray the Magnificat with her (if you dare), or consider taking in these Holy Land mosaics of Mary from around the world. 2. Have waffles for supper! Evidently “Lady Day” (Vårfrudagen) and “Waffle Day” (Våffeldagen) sound a whole heck of a lot alike in Swedish, which is just wonderful. So it's customary to have a waffle for Mary. How could anyone not be down for that?! We’ll be waffle feastin’ tonight! We’re going to watch Sister Act, which is still one of my favorite movies, forever amen. They sing “Hail Holy Queen” (above). The song is what first made me think of the movie for today. However, after I thought about it, the whole movie is about women learning to love themselves, one another, and their community for the love of God. So there's that. I pray a true kinship with Mary for you--that you, too, may feel empowered in your blessed human nature to participate in God's wondrous love for the world. Older Post"Peace on Earth Begins at Birth"